4' and 6' Charleston Cast Aluminum Backless Bench - Portable/Surface Mount. Seat is made from 12 gauge die formed flat steel plate with precision punched design. Brighten up an outdoor area with our 4ft. 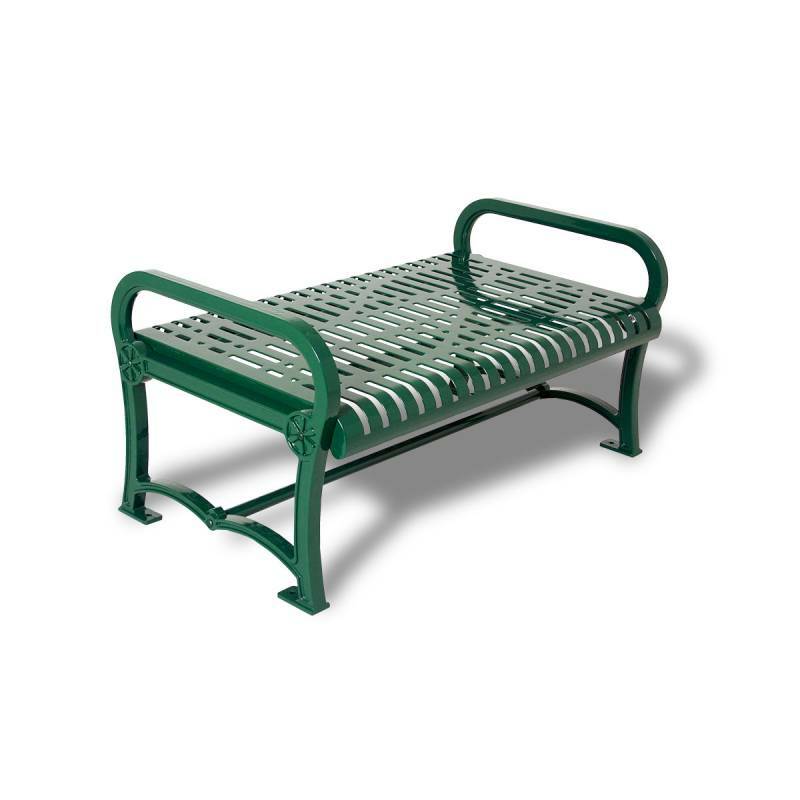 Charleston Cast Aluminum Backless Bench! With a wide variety of styles available, you can choose the pattern that best suits your needs. Will not rust, peel and is mold resistant. Can withstand the elements easily and is maintenance free. Available in a variety of vibrant colors! Call or email National Outdoor Furniture today for a quick quote!